If you fancy programming and controlling your very own Arduino robot you might be interested in a series of introductory videos which have been created by RS Components. The series of videos about the new Arduino robot, which is available to purchase for around $180 or £163. Guide you through Arduino robot projects features and functions, providing you with an overview of how to remote control your robot, avoid obstacles, follow lines as well as add images and sounds which can be triggered by a multitude of sensors. 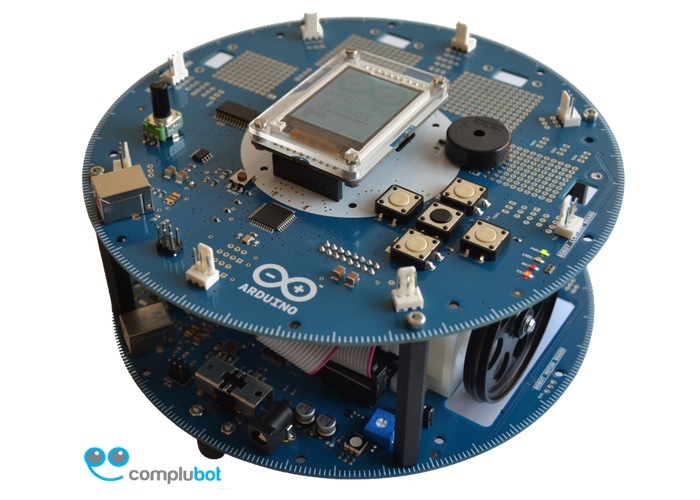 The Arduino Robot is an Arduino development board on wheels with a processor on both the Motor Board and the Control Board allowing you to control them both independently if required, as both boards are fully programmable using the Arduino IDE. Arduino explain a little more. On the Arduino robot both the Motor and Control boards are microcontroller boards based on the ATmega32u4. Programming the robot is similar to the process with the Arduino Leonardo and it has many of its pins mapped to on-board sensors and actuators. Both processors have built-in USB communication, eliminating the need for a secondary processor, allowing the Robot to appear to a connected computer as a virtual (CDC) serial / COM port. For more information on the new Arduino Robot jump over to the RS Components website for details and to order.